From where we stand – we see youth and post-youth unemployment as a ticking time bomb. Unemployment is attributed to many factors – bad politics and governance, corruption, bad-economics, lack of skills, rigid agrarian economic regimes, etc. However, this blog looks at unemployment through a different lens – the inability to spot potential economic opportunity; for purposes of this blog we call this challenge opportunity-myopia. Myopia in biological speak is near-sightedness or short-sightedness that causes distant objectives to be blurry while close objects appear normal. The opposite of myopia is hyperopia or long-sightedness. While listening to Uganda’s radio Simba FM this morning, we learnt interesting statistics on the boda-boda taxi business mostly dominated by the youth in Uganda. We also discovered where the youth get capital to invest in Boda Boda taxis. Those of you that are familiar with East Africa know the boda-boda taxi – originally bicycle, but now: mainly motor-cycle taxi. Apparently – there are seven million boda-boda taxis in Uganda; 2 million in Kampala alone. We also learnt that boda-boda is acquired through selling off valuable family land or as political gifts. On the same programme, we further discovered that boda-bodas are either impounded by traffic police or stolen and passed on to other would be boda-boda businessmen. Apparently, fed up with being unemployed, a number of Uganda’s university and other college graduates have entered the boda-boda business. If boda-boda operating skills were exportable, it would earn Uganda and its youth millions of dollars. But sadly it’s not. And what makes it even more interesting is the fact that these graduates have been applauded for grabbing the bull by its horns – and doing whatever economic activity there is to be done, even if it requires less than 10% of their mental power (read: university degree). Yet, a more in-depth look at their courage leads us to some questions and conclusions. 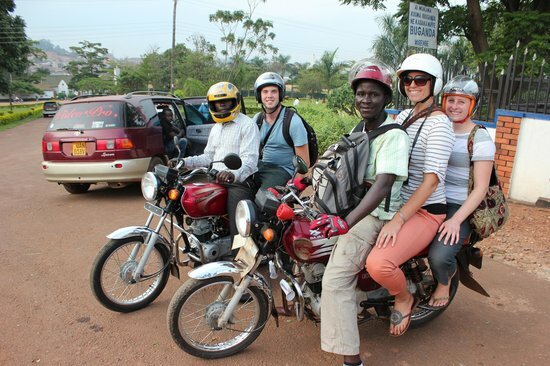 Could the better-educated youth consider doing something other than the boda-boda business? What about their imagination/creativity and critical thinking skills? Are they waiting for other people to think for them? Is it not true that a university graduate going into boda-boda business, less some kind of vertical-integration or innovation, is opportunity-myopic? Should such graduates not deploy their mental prowess to dream bigger? Yes, It’s tempting to blame the graduates; but it’s actually not their fault that they are unable to put on their thinking blinkers. What is the source of imagination/creativity? Are we born creative or do we learn it from experience? It’s not far-fetched to write here that in Uganda, boda-boda graduates are latent Bill-Gates, Mark Zuckerberg’s, etc. – creativity has merely to be triggered. How do we help our Ugandan graduates that are not employed or at best, Boda-Boda riders to think imaginatively?